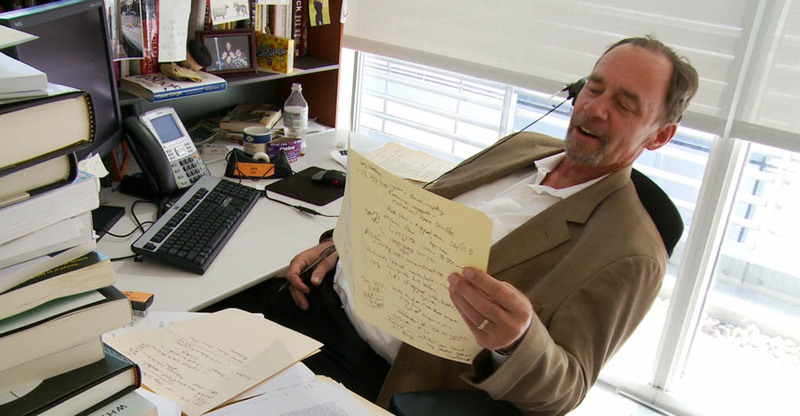 David Carr was looking for answers. He was always doing that, but this time, he was asking me for them. The Oregonian, the newspaper where I work and an institution older than the state itself, was making changes: pushing into digital and pushing its staff, not all of whom run their own music blog, with a new set of metrics to get them posting instead of filing, thinking in photo galleries instead of inch counts. I’d watched the New York Times documentary, Page One, not long before. Carr is essentially the film’s hero, taking on the puffed-up new media renegades at Vice and doing heavy, risky reporting on the Los Angeles Times — another paper I’ve worked at. Carr got the story right. He usually did. Seeing his name in my inbox was not unlike getting an email from God. But I like my job, and declined to give him any insider info, not that there was much to give. Here’s the column he wrote. I don’t know why he picked me, or if he emailed a number of us. But he was nice. I figured that was the end of it. That was almost a year ago. Then he emailed me again. It was a mistake, my name no doubt auto-filling as he typed in “Greenwald.” The one he wanted was Glenn, then in the wake of the Edward Snowden story that had shaken up America. He was going to be in Rio for a couple of days and wanted to put together an interview. I told him, uh, that he’d reached the wrong Greenwald (no relation). He didn’t respond. Carr died on Thursday, just 58. I looked up that email just now. He had the usual signature, his name, position and contact information — including Twitter, where he often retweeted his critics, always willing to share the opposing view. Under it was a quote from Hunter S. Thompson. “Call on God, but row away from the rocks.” No doubt Carr’s on the line with Him already, voice recorder rolling.